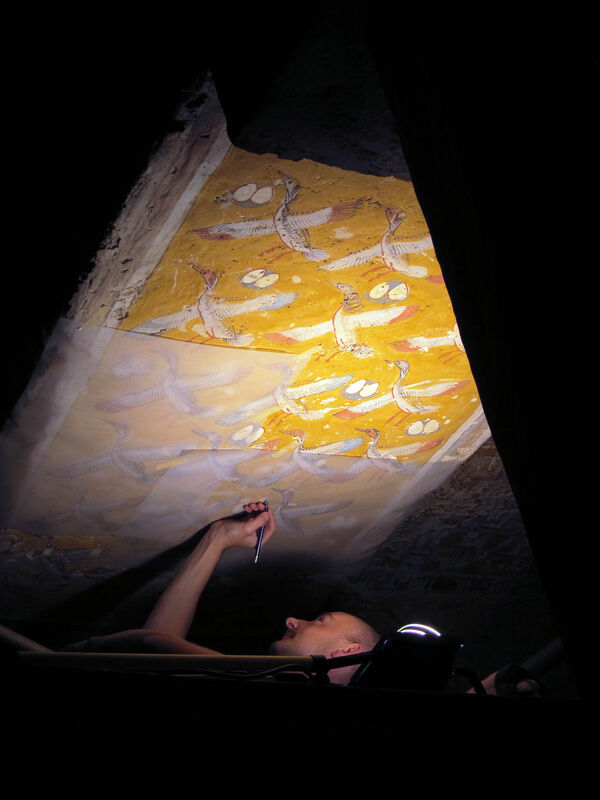 Twenty years ago, when I started working in Egypt as an epigrapher, I wasn’t given too many guidelines regarding how to do the best job when documenting a painted tomb. Our Hungarian project leader wanted to have the most detailed, most faithful, most informative, and most complete documentation that was accessible to everyone, while useful for an art historian (or for that matter any person with a general interest) just as much as it was for us, scholars. 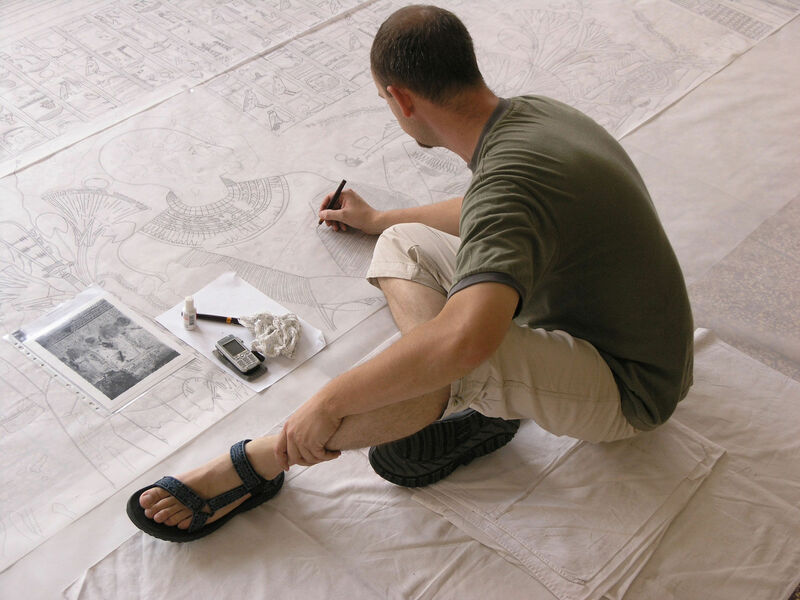 In 1998 personal computers were already mainstream but were scarcely used in my field of interest – drawings were created facsimile, most often copied directly from the walls by using transparent material that was directly attached onto the decorative surface. I remember admiring the Epigraphic Survey (Chicago House, Oriental Institute, University of Chicago) for its alternate methods and precision, but I also remember thinking that I’ll never have the resources to implement their technique in my personal projects. With no experience whatsoever, I did what I thought was best: pulled out large sheets of transparent paper and hand-copied every bits and traces of pigment I could find on the wall. The results were regular penciled drawings including painted outlines, damaged areas, traces of preliminary sketches, and labels for each and every color on the wall. Hundreds and hundreds of identical transparent sheets would be filled with information in the next ten years. The majority of my studio work still needed to be done by hand (by retracing all my pencil lines with Rapidograph ink pens to be precise), and color representation needed to be created by using our own black-and-white color-coding system, stippling my way through each and every wall, dot by dot. Although there was no possible way of using computers in the field (and for most of the inking process - I didn’t even have a laptop back then! ), I could still use a little artificial help when reassembling my field drawings in the studio. Once the line drawings were inked and the long wall sections reassembled, the results were reduced by a large-format scanner. After the color codes were added (again by hand) followed by another scanning session, the final iteration of my documentation became a one-layer digitized file that was so large that no computer could open it, least of all mine! However, pushing for seemingly unreachable territories taught me that whatever seems to be impossible at a certain moment could well become commonplace later in the future. Fast forward twenty years and I’m using computers in every segment of my life. I communicate with the world through my smartphone and I have a laptop that travels everywhere I go and is more powerful than any desktop computer I’ve ever had. I use a tablet in the field to create my initial documentation and I use another tablet to digitally “ink” the raw material in my studio. Becoming part of the Epigraphic Survey has certainly opened up the possibilities of experimentation with different methods and tools while teaching me to achieve previously unthinkable precision, for which I’m eternally thankful. About six years ago, as I realized that computers finally had become powerful and versatile enough to reconfigure the traditional ways of documenting ancient monuments, I deliberately started to rediscover them for my own field. The culmination of the first few years of this digital experience had been synthetized in the book Digital Epigraphy, written in 2013 and published by the Oriental Institute. I chose the interactive iBook format back then because it visually enhanced the written words in many different ways that seemed fresh and new: galleries of tutorial images, short video segments, and web links could be included with each and every topic. There was only one real shortcoming of this format: I couldn’t update the material as often as I felt necessary. The methods we invent for new projects, the gadgets we use day by day in the field and in the studio, the software updates that come more and more often drive the evolution of digital epigraphy with an unimaginable pace for which the more traditional book format is not a suitable vehicle anymore. Last year, searching for the right solution to distribute the digital methods and tools that we artists at the Epigraphic Survey use for our field and studio work, led me to entertain the idea of designing a specific website that could be instantly updated with the latest innovations and would be accessible to all who were interested. Nowadays, there are more archaeological and documentation projects in Egypt than ever before, and the majority of them are either on the verge of converting their documentation efforts to digital or have been using the aid of computer for a long time (in many cases much longer than I have). Therefore, besides preserving and updating what I have already published in this topic, the main driving force behind designing this website was to have a place where we Egyptologists, artists and/or epigraphers, can learn from each other by sharing information about our documentation projects, methods and tools. News: brief blurbs on a new software or hardware release, a software update with new features etc. You’ll be able to find here basically anything from around the web that might be of our interest while doing digital epigraphy. Reviews: our favorite hardware and software tools introduced and analyzed from the epigrapher’s point of view. You’ll find lots of external links included in our reviews that are connected to the tools used by us at digitalEPIGRAPHY. 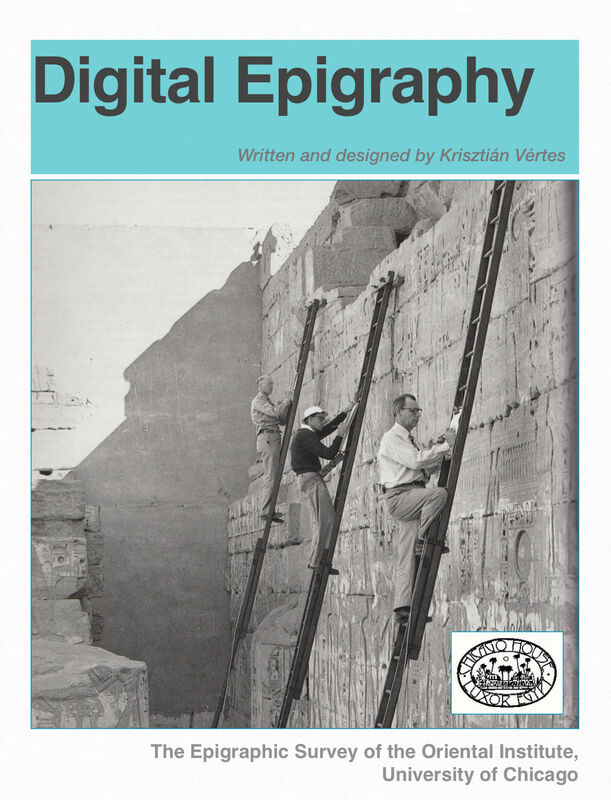 Manual: The Digital Epigraphy Manual as it is: the chapter by chapter web version of the book as it appears on the Oriental Institute website. Since the information distributed in the book is many years old now, one of my most imminent plans for the website is to update each and every chapter with more recent information. Therefore, it is worth checking back to this section from time to time, even for those already familiar with the book’s content. 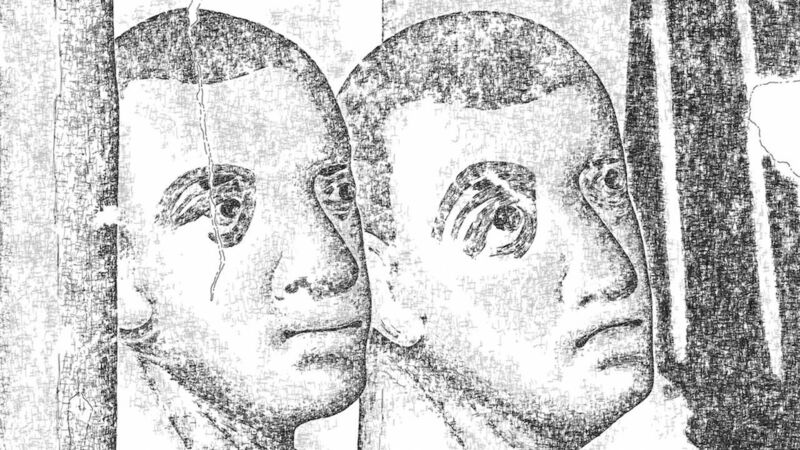 Tutorials: some of these step-by-step guides (in many cases accompanied by short video content) were originally created for the Digital Epigraphy Manual to explain the Epigraphic Survey’s specific digital drawing techniques. I’m hoping to update most of this material as well along with adding new ones wherever I find it useful. There is a dedicated YouTube channel anyone can subscribe to, where you can find all the video content I’ll produce for this website. Tutorials must be a prominent part of any website about learning new skills, and they will be one of the most dynamic sections of our site as well. Tools: to create digital drawings in the field or in the studio, one must have the best tools that suit them when achieving their tasks. 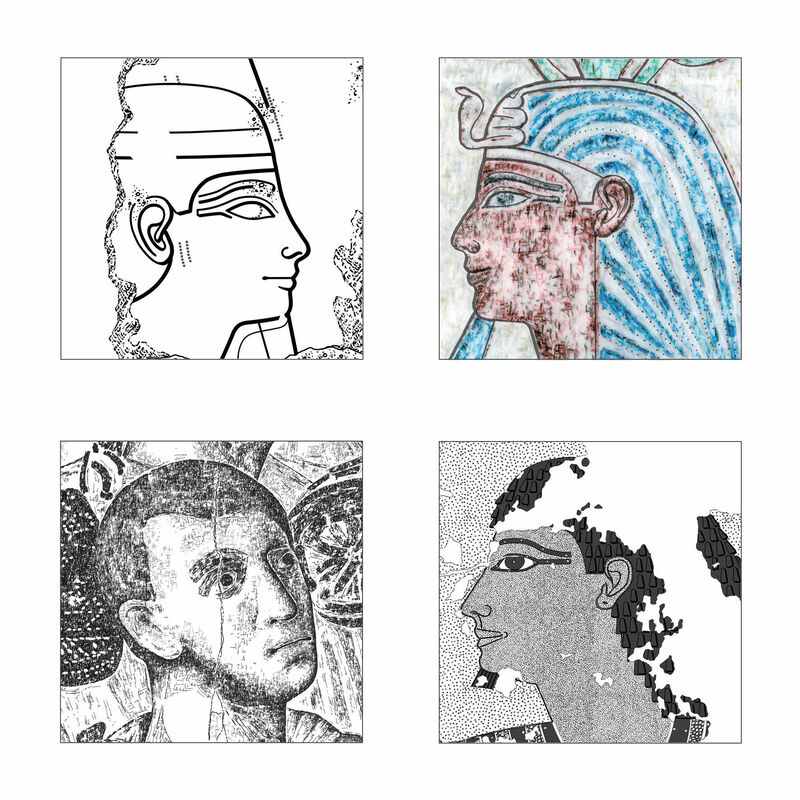 digitalEPIGRAPHY would like to provide a comprehensive list of tools in various price ranges adjusted to anyone’s needs for documenting ancient Egyptian monuments. We’ll give you direct links to read more about these tools and to find where to purchase them. We’ll also try and let you know whenever there are discounts available on these tools. Projects: as I mentioned before, there have never been so many different projects in Egypt as in recent years. With the new website, I’m hoping to generate interest among these projects to share their epigraphic documentation methods. 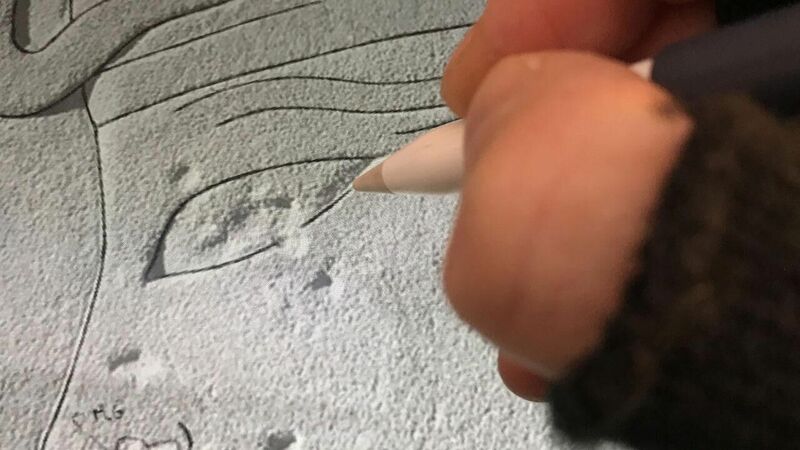 The Epigraphic Survey has always been keen on making its efforts accessible for the pubic and has contributed with a lot of its drawings to enrich this website and to explain its ways of practicing digital epigraphy. As a starting point, I’d like to introduce a digital method that was designed to resolve one of the most interesting documentation challenges I’ve ever encountered. This case study would have been included in the Second Edition of the Digital Epigraphy Manual, therefore it has not appeared anywhere before. 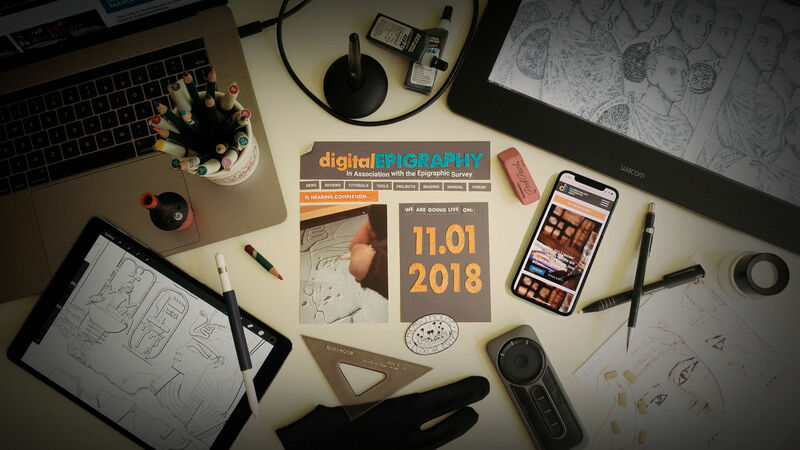 Additionally, we’ve figured out a way to show you large, multiple gigabyte digital drawings in their original size and resolution directly on the digitalEPIGRAPHY website. You’ll find multiple examples of this feature in this section. Reading: every new documentation project should start with a thorough research of the material to help you find the best solution for your particular epigraphic problems. No research can be done without knowing about other, similar projects dealing with the same issues. Therefore, in this section digitalEPIGRAPHY will collect relevant contemporary documentation projects based on already published material (books, online articles, websites etc.). 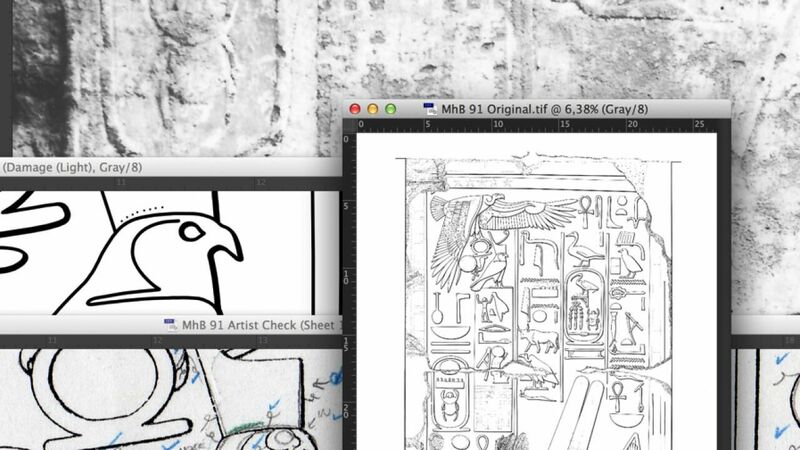 We will try to work continually on this section and our plan is to eventually build a database of all the digital epigraphic efforts that we find inspiring. I’d like to thank my wife Júlia Schmied, for taking upon herself the endless task of reading through the enormous amount of available material and distilling them to bite-sized samples. 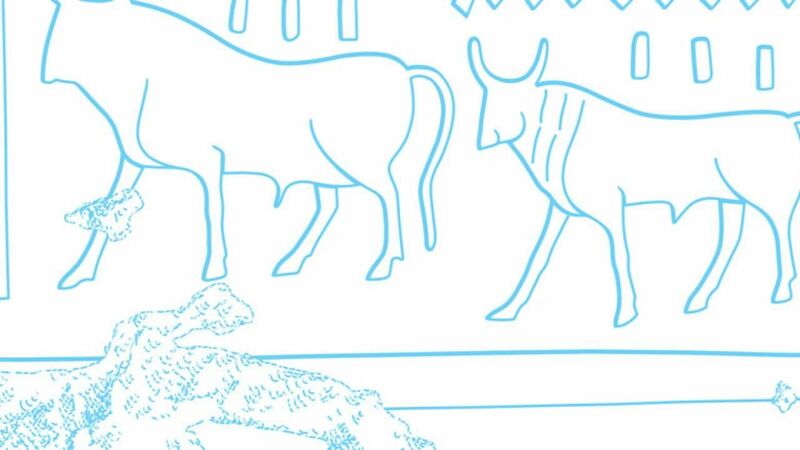 Needless to say that we will gladly accept any contribution from projects that are willing to share their epigraphic methods accompanied by a few sample drawings. Forum: and finally, the most trivial and – hopefully – most dynamic part of the new website is its conversation section. Any article that appears on the website can be commented on, questions can be asked, and digitalEPIGRAPHY will try to answer as soon as possible. All you have to do is go through a simple registration process to be able to share your opinion about any topics. These conversations are collected in the Forum section, sorted by date and the number of comments, so we all will be able to see what the “hot” topics are that most people are interested about. Therefore, I’ll encourage you, dear Reader, to participate in commenting and be part of these discussions, and be one of those who’ll steer our boat of topics in the future. and you will be able to be a part of one of our solutions to stay up-to-date about what appears on the site by subscribing to our Newsletter, RSS feed, Facebook page or YouTube channel. 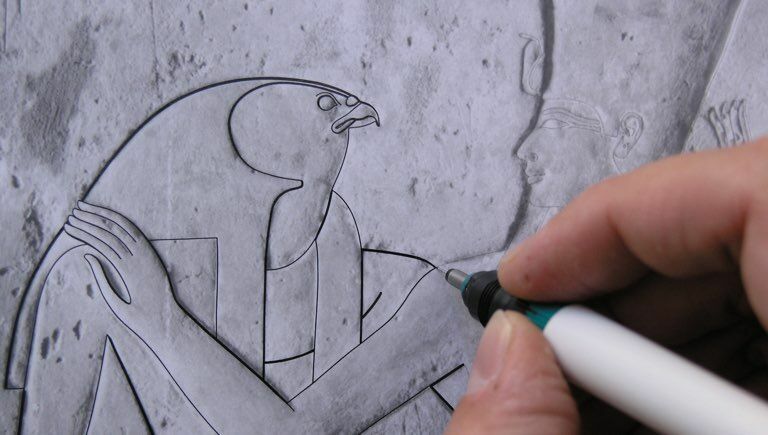 This site is an effort based on the idea that we at the Epigraphic Survey think that you, dear Reader, would benefit from what we’ve learned about digital epigraphy over the years. 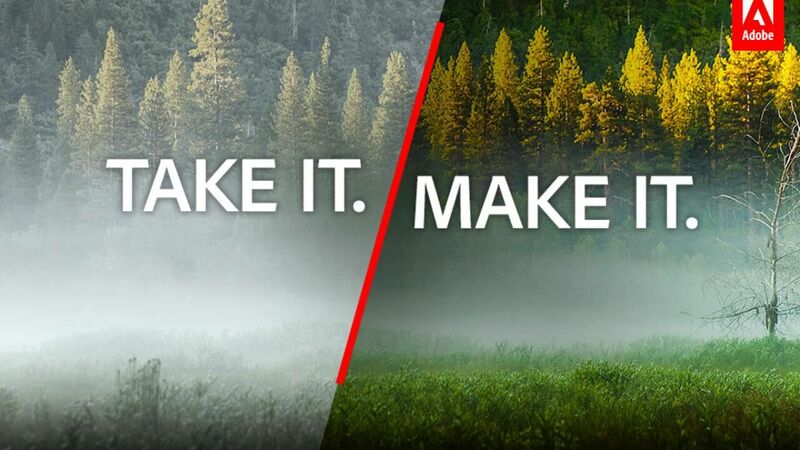 BUT, at the same time, we also think that we could benefit from your contribution, whether it’s a relevant question about our topics, a creative suggestion, or sharing your own experience in the field. I hope digitalEPIGRAPHY can get the conversation going and certainly hope to welcome you on the site as often as possible. I’d like to thank the Epigraphic Survey and especially Ray Johnson for the eternal help they provided along the road that led to the launch of this site. I’d also like to thank the Oriental Institute, University of Chicago for standing behind my experiments in digital epigraphy in the past 6 years, curating and hosting the Digital Epigraphy Manual, and for its support in sharing all the material appearing here. Finally, I’d like to thank my friends at Groteszk Kreatív Társulat for building the vehicle for our conversation and realizing my ideas on this beautiful site. I’m aware that there are many different ways to implement computers in epigraphy, and some of my colleagues might have different solutions to the ideas that are channeled through this website. I myself have come a long way from spending endless working hours lying on ten-meter long transparent paper sheets at my mother’s elementary school to being able to do exactly the same on my iPad (thankfully not literally…). I’ve also noticed that one aspect of my work has never changed over the years and that is the amount of time and effort I put in documenting Egyptian monuments. 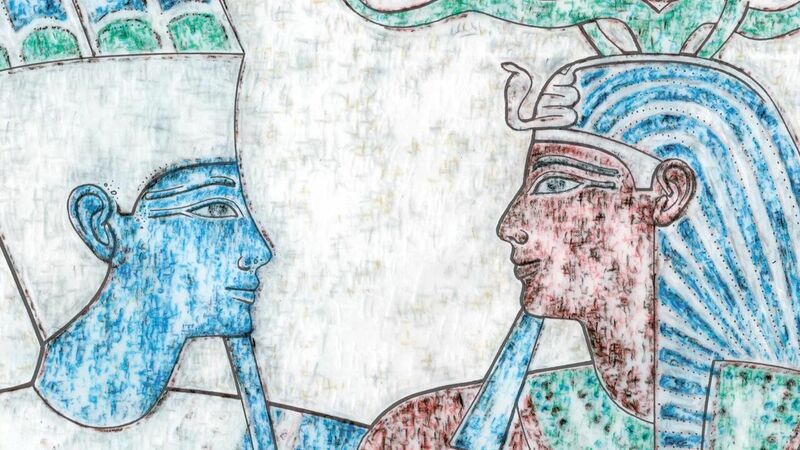 I hope that by reading the articles on the digitalEPIGRAPHY website you’ll feel the same encouragement as I do every time I go back to Egypt: we must do our best when it comes to documentation, no matter what tool we use. 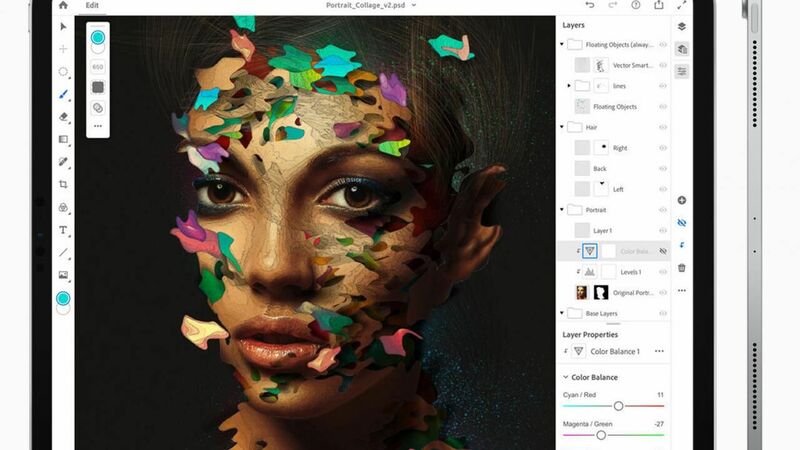 Adobe’s most popular plan, which includes Photoshop CC, digitalEPIGRAPHY’s choice of software for digital inking, will be sold in some areas (excluding Europe, the Middle East and Africa) for $14.99/month in the next week. Yesterday - among other products - Apple introduced its much awaited redesigned iPad Pros, revealing the most radical hardware change to the iPad since the Pro line was launched in 2015.